This package is one of the most inquired and booked packages in India. 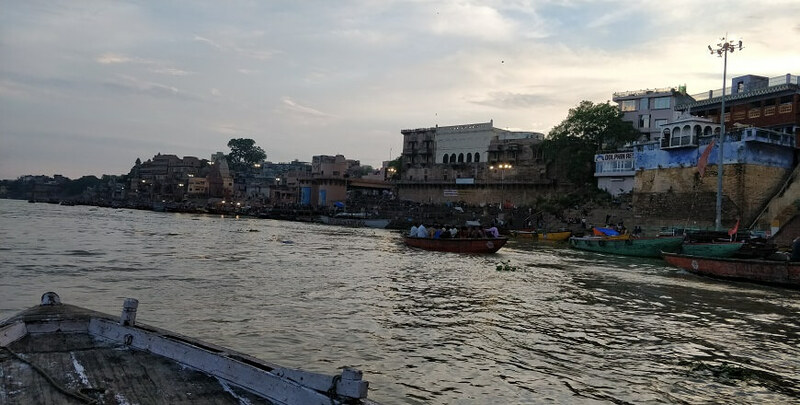 Golden Triangle with Varanasi covers, Beautiful Heritage monuments of Delhi, Agra and Jaipur, along with the tour of The Holy town of Kashi or Varanasi. Kashi tour package, is a city in the Indian state of Uttar Pradesh dated way back to the 11th century B.C. Varanasi is Regarded as the spiritual and the cultural capital of India which is situated on the bank of holy river Ganges. Along the city's winding streets are some 2,000 temples, including Kashi Vishwanath dedicated to the Hindu god Shiva. Varanasi Tour is fastest emerging destination of India due to its different shades of life there. This Morning after breakfast visit the Agra fort, built by the great Emperor Akbar, and the famous Taj Mahal-the symbol of love, built by Emperor Shah Jahan in memory of his wife Mumtaz Mahal. You may also visit Dayal Bagh. By evening you will be transferred to board the train to Varanasi. Overnight in Train. On arrival at Varanasi, pick up and transfer to Hotel. This afternoon visit the Bharat Mata Temple, Durga temple, Tulsi Manas mandir, Banaras Hindu University which has an art gallery, Kashi Vishwanath Temple etc. Overnight at Hotel. 7 Nights accommodation in hotels on twin/Double sharing basis. All sightseeing in your pvt AC car.